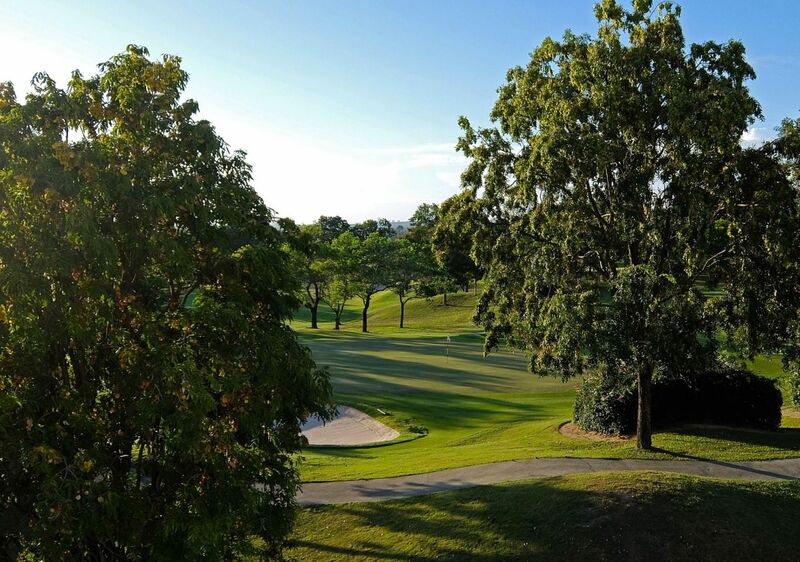 Phoenix Golf & Country Club, a Dennis Griffiths design, is set on wooded, rolling terrain. 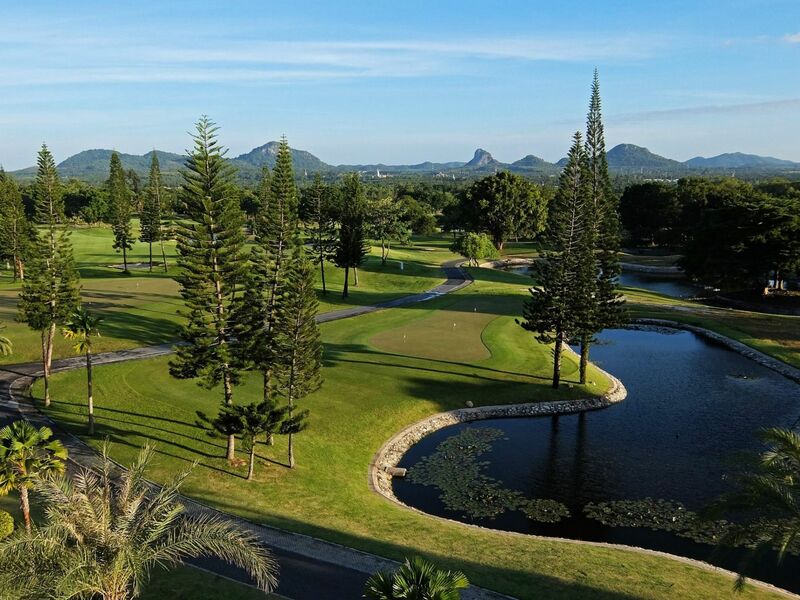 This Pattaya golf course comprises three nines – Ocean, Lake and Mountain, and has magnificent views of the surrounding mountains and the Gulf of Thailand. Large mango, eucalyptus trees and flowering shrubs add color and give a natural feel to the layout. Phoenix demands cautious shots on the fairways, but the greens are relatively easy with few undulations. 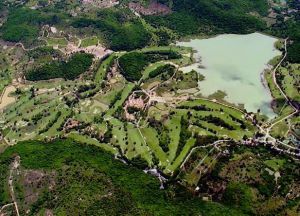 Compared to most other Pattaya golf courses, there is not much water, except on the Lake nine. 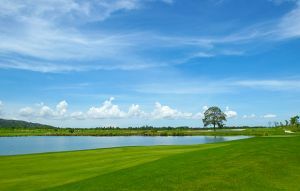 Hole 17 is a very though par four dogleg around the lake and requires accurate shot making to achieve par. The finishing hole on the Ocean course is also noteworthy. 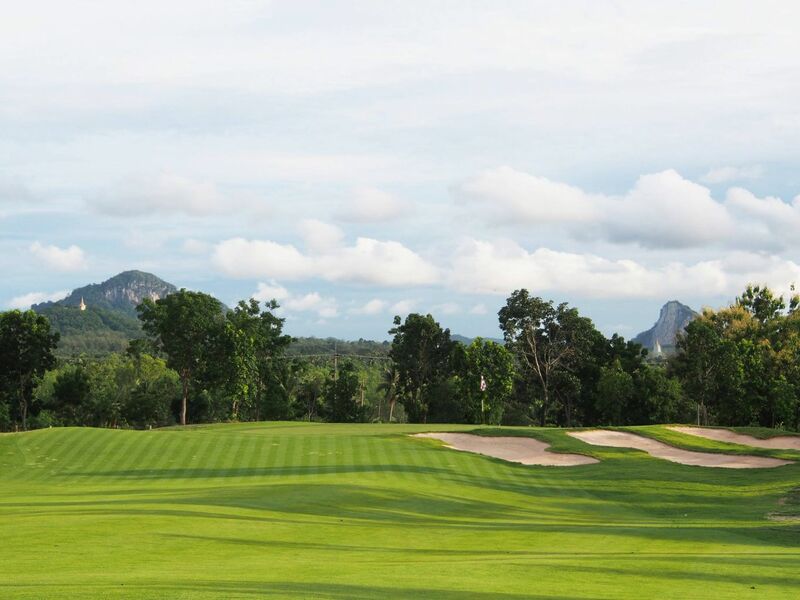 The tee box for this par 5 sits at the highest point on the course and affords a commanding view of Jomtien Beach and Pattaya city. 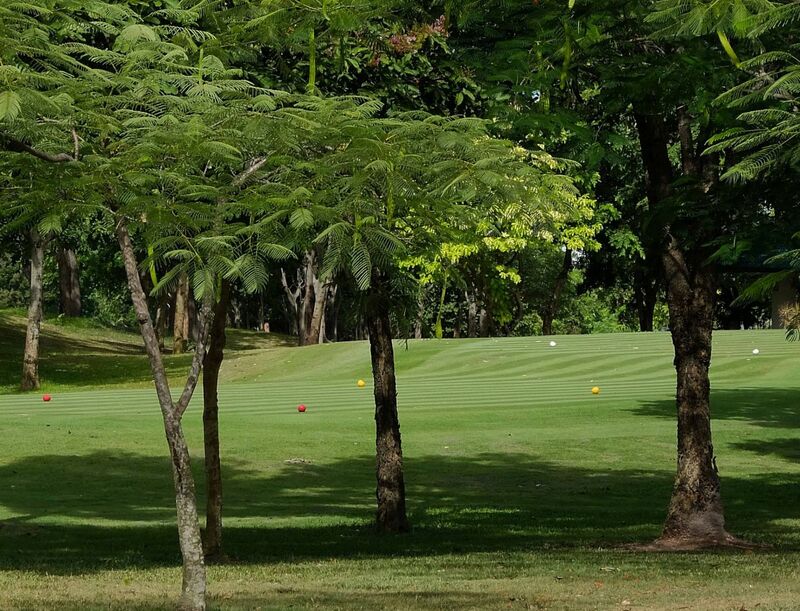 The tee shot is straight down a sloping fairway followed by a 2nd shot aimed toward the sea. Large sand bunkers lining along both sides of the fairway come into play on the 3rd shot into the green. The bunker in the front left of the green should be avoided for it is difficult to get up and down for par from there. 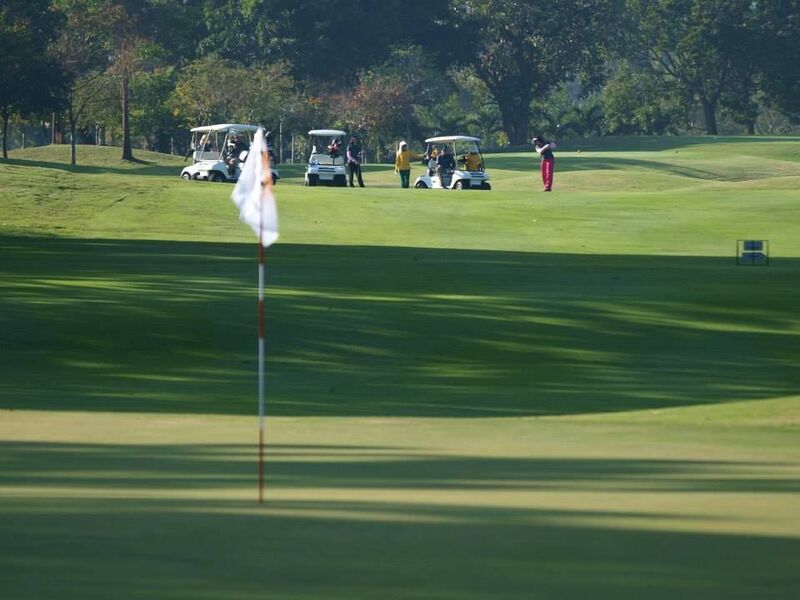 The center of the green is preferred for an easy par, or even birdie! 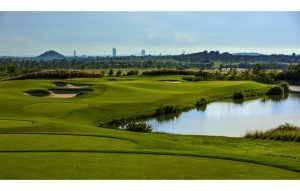 A massive clubhouse dominates the landscape with a large center reception and pro shop. Locker room facilities are luxurious and the restaurant serving both Thai and European food is quite good and well priced. 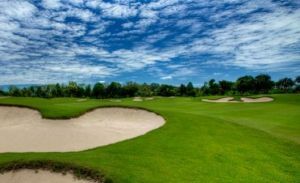 Phoenix Golf Club’s easy access to Pattaya plus above average maintenance and playing conditions make this course well worth including in any Pattaya golf package. 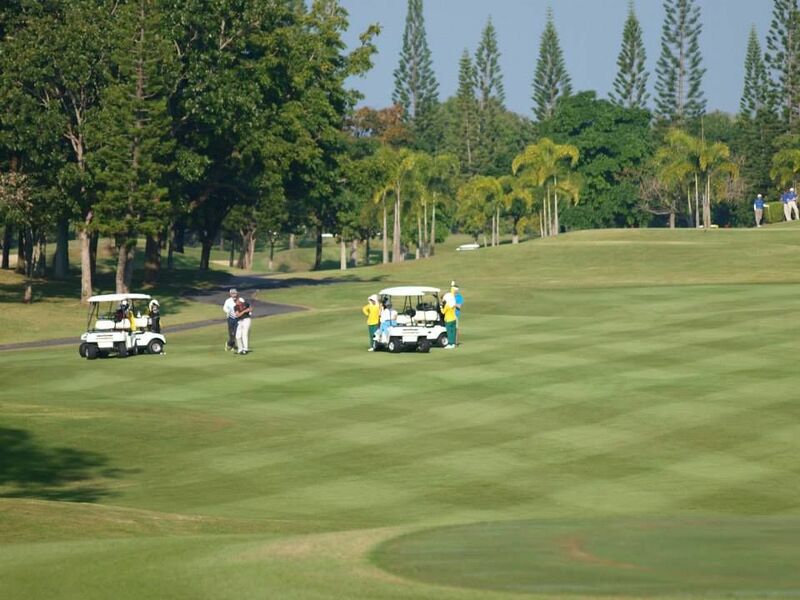 Phoenix Gold Golf Country Club has different Services to offer. Choose a date and number or players to see the rates.